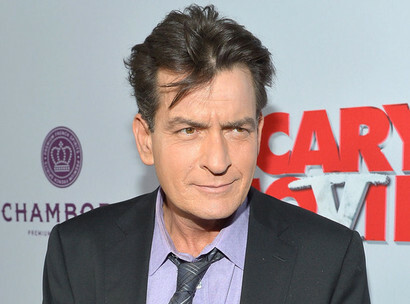 Even though Charlie Sheen stars in his own show, it seems that the actor causes some delays. The star has failed to show up to work on the set of his Anger Management show. The Hollywood Reporter revealed that the actor has missed several days of work in the past few weeks, which naturally made the entire team angry. Reports reveal that the cast members of Anger Management are so unhappy with Charlie’s behavior that they are even threatening to stop working at the show. While no other statements have been made by the team or by Charlie, the actor’s publicist says that there is no issue and the reports are not true. “We did not shoot last week because another member of the cast was sick. Charlie is always ready, willing and able to shoot Anger Management and looks forward to returning,” Jeff Ballard said. Charlie Sheen created Anger Management after being kicked off from Two and a Half Men, show in which the actor was replaced by Ashton Kutcher. Sheen’s replacement came after a series of delays in filming, Sheen’s difficult behavior, substance abuse problems and public issues determining the producers to close the deal with him. The 48-year old actor was extremely upset with the producers of Two and a Half Men, not missing an opportunity to attack the whole team. Sheen knows that Anger Management cannot be filmed in his absence, but it looks that the actor fails to show determination, at least according to these new reports. Still, on Twitter Charlie Sheen seems to be quite happy to promote his show. The actor posted various tweets reminding his fans to watch the television series. He also posted several comments on how much fun he and his colleagues have on the set. This is not the first time when an issue involving Anger Management surfaces. It was reported last year that Sheen fired Selma Blair from the show via text message, although he did not have the authority to do that. Blair repeatedly complained about Charlie’s behavior and absence. However, Sheen claimed that the series cannot continue without him, so Selma Blair had to go.